Stephanie Henry’s childhood truly sucked. A lot of kids have issues growing up, and maybe everything isn’t sunshine and ponies, but what she endured would kill most people, and it nearly killed her. A sick grand-uncle molested Stephanie as a little girl. Her beloved father died when she was young. Her mother was a narcissist, who never gave her daughter any attention, and ignored her after she was raped one time. That same mother married a cruel man who abused Stephanie, while her new stepbrother raped her repeatedly. In junior high, she started drinking and doing drugs, as well as sleeping with boys. Nobody ever saw that she got a decent education—she barely graduated with a 1.9 GPA and no real reading, writing, or math skills. She got married as a teenager, and had a daughter at age 20. When she left her loving husband for an abusive man, she lost most of her custody rights. Stephanie found work in restaurants and nightclubs, living the fast life—uppers in the morning, downers to sleep, and tons of booze in between. She did just about every drug there is. One abusive husband forced her to have two abortions and a breast enlargement. She started stripping to earn extra money. From pre-puberty on, she was bulimic, since she was told all she had was “the look that men wanted.” Despair, depression, and suicide attempts followed. Stephanie’s story is one that so often ends in a cemetery plot, with far too few years between the “Born” and “Died” dates. How Stephanie pulled herself together, worked for a better life, then finally met a kind, loving man makes for an excellent story. How Stephanie took her life to the next level—one where she could help others around the world—inspires. Her memoir is written in frank language. Ms. Henry doesn’t shy away from her sordid past. Rather, she accepts her sins, for they helped her become who she is today: a strong person, a loving mother, and a champion of those less fortunate. The journey Stephanie endured was filled with huge obstacles and treacherous pitfalls. 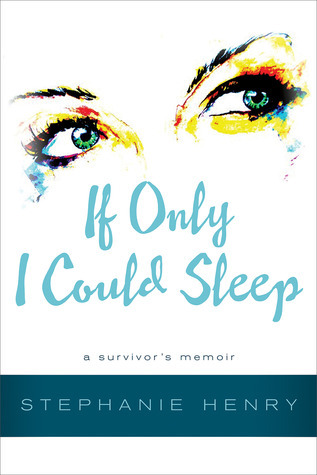 The end result—a woman who survived, thrives, and has the guts to share this sometimes horrific, ultimately triumphant story—shows what inner-strength, a few good friends, and strong faith can have on a life. This entry was posted in Books, Memoir or Biography. Bookmark the permalink.